Getting paid on time is crucial for the survival of your startup or SME. It may sound like common sense, but many companies go out of business not because they didn’t have the revenue, but because their cash flow wasn’t working efficiently. So how do you ensure you get paid on time and what is best practice with invoices to enable this? Most companies invoice at the end of the month, expecting to get paid within the next calendar month. However, a trick to maximise your chances of getting paid promptly and regularly is to set your payment terms to 2 weeks. It is highly likely that there will be one customer that doesn’t pay on time and setting your payment terms to a shorter time frame will help ensure that if they do pay later it is at least within one calendar month. An email can also be sent to them after the 2 weeks reminding them of your terms. If they offer to pay you on a weekly basis, it is wise to jump at the chance – more cash through the door means you’ll have the ability to pay for things up front. Many companies issue pro-forma invoices now and won’t deliver goods until they have been paid up front. Others may require stage payments too. 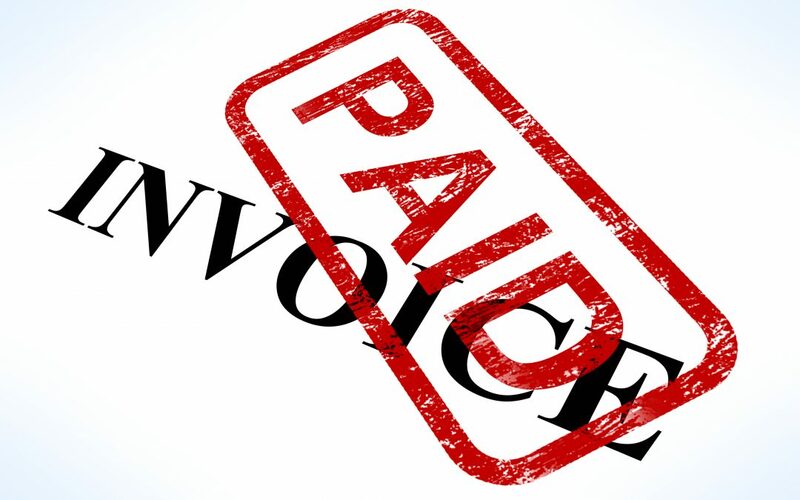 Another simple best practice with invoices trick is to make it super easy for the client to pay you. There are several payment mechanisms which allow clients to make payments there and then when you invoice them via a hyperlink. Accounts can be set up on sites such as Gocardless (https://gocardless.com/) and Xero, the accounting package for small companies also enables you to set up a hyperlink for fast payment. A PO number, if your client as set one. (Some companies won’t pay without a PO number). The important thing is not to allow anything on your invoice to be questionable as this could delay payment. It is also professional to send an invoice in keeping with your brand’s look and feel – an unprofessional looking invoice could damage your credibility. If you are having to wait months to get paid, it is a good idea to send a solicitor’s letter to the late payer. Contrary to popular belief, these are not expensive to issue and can be as inexpensive as £5. Sending the letter shows that you are serious about getting paid and are not just going to forget about the payment. The above strategies can be used for best practice with invoices, helping you to get paid promptly and regularly.